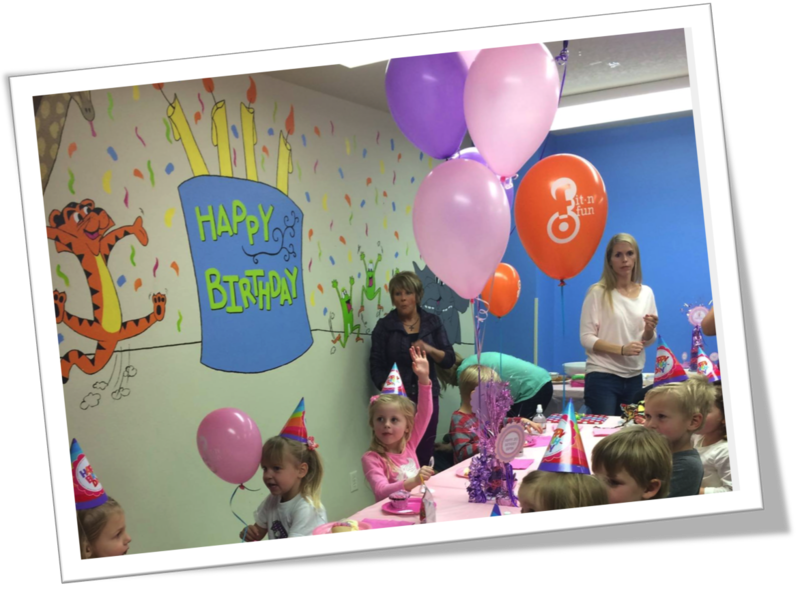 Book a party at JUST and you will see why our clients consider us the best place in Rapid City for kids parties. From the time you walk through the door to our gym equipped with inflatables, a trampoline, a climbing wall, and ninja obstacle courses, our staff will be there to take care of you! 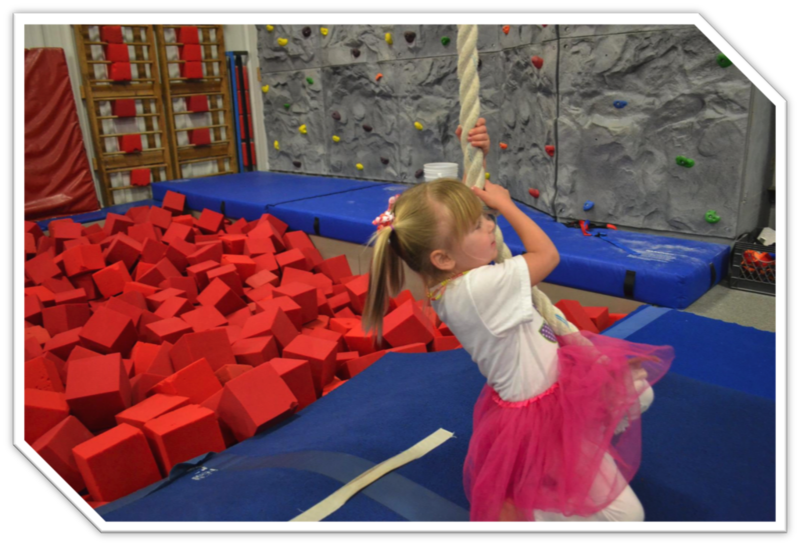 The first 60 minutes of your child's birthday party will be spent in our gym where the children (remember, no adults in the gym) will have a blast! If you choose, our staff can guide the party guests through organized games or you can have free play for the entire hour! During this time, the gym is reserved exclusively for your birthday party. You will have about 15 minutes at the end of the gym time to decorate and set up the party room. The next 45 minutes will be spent in our party room for your refreshments and gift opening. You are more than welcome to decorate the room during the last 15 minutes of your gym time or you can keep it simple with our birthday mural on the wall. We suggest decorating with table covers and your decorated cake. Each child will receive a helium balloon and the birthday party child can choose between a T-shirt or a backpack! The best part is that we clean everything up afterwards so you are free to focus on enjoying the party! 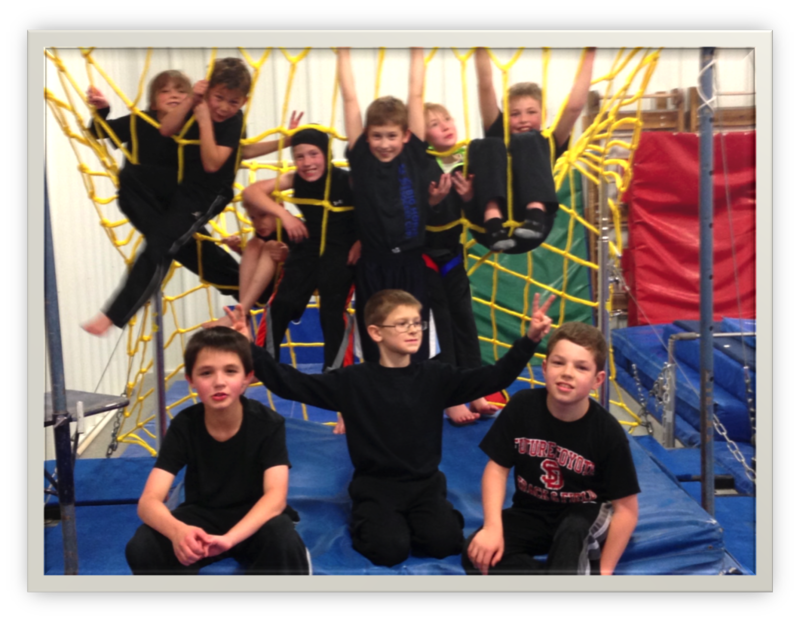 Our regular birthday parties work best for kids ages 3-14 who don't need a parent in the gym with them. If your child is turning 2, 3, or 4 and you don't have anyone over 5 attending, we have a special TOT PARTY just for you! *12 kids maximum including the Birthday Child. All guests must be 5 and under. *Only $99 including a non-refundable deposit of $50. *A Helium Balloon for each child guest and a gift for the Birthday Child! open gifts and enjoy whatever refreshments you choose to bring! *Helium Balloon for each guest and a gift for the Birthday Child! *Ninja Warrior type obstacle course! *Have the best NERF War of your LIFE! Click on the time slot you are interested in on the calendar below to book your party! Not just for Birthday Parties!